After all, you have updated the macOS to the newest macOS Mojave. A lot of new functions are now available to use in macOS Mojave, and you will enjoy MacBook UI and supportive features. On the other side, you have to deal with few bugs they will act as a roadblock in your journey. When my colleague updated the Mac to macOS Mojave, he was facing sound not working on Mac in macOS Mojave. Then after trial and error method, we tried to fix the sound not working in Mac and the trick worked. 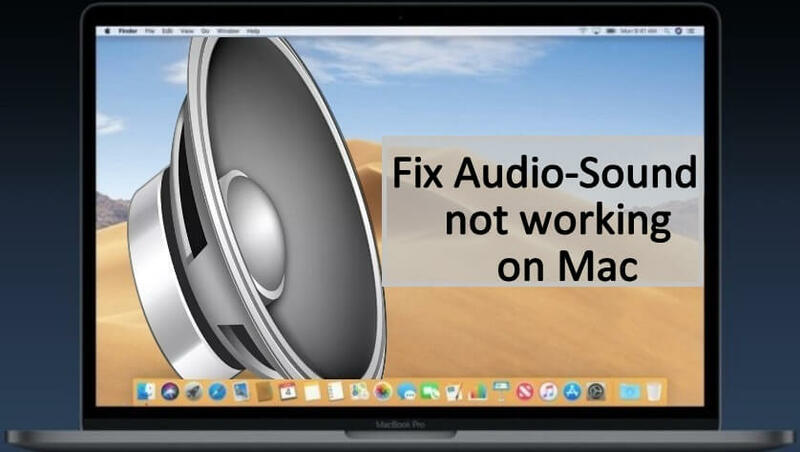 So I would like to share some useful tips regarding fix Audio won’t work in macOS Mojave. 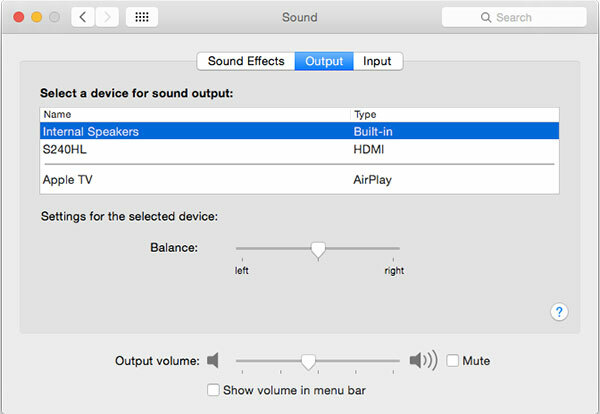 External speakers not working on Mac or annoying popping noise when playing Noise volume or video. Whatever media player are you using on Mac check the volume controls are not turned down if the volume is low then boost up the volume? If your Mac Volume locked on mute then get solution below. Play different audio file, DVD or CD or any other file on your Mac to check if the problem is with a particular file or not. Remove External speaker or headphones. Step #1: Click on “Apple Menu”. Step #2: Open “System Preferences” and click “Sound”. Step #3: Select the Output devices as “Internal Speakers”. Step #4: Also check the “Output volume’s” slider is on the right side. Step #5: Besides, also make sure that the “Mute” is not selected. Open the Terminal app to run a command on your Mac. Type: “sudo killall coreaudiod” and press Enter to run. Hope this command work and fixed. Properly plug in the external speakers in the audio port in your Mac or Display port. Also check the proper power supply, if necessary. Make sure external speaker is turned on and try to adjust the volume of the speaker. Step #1: Click on “Apple” icon and open “System Preferences”. Step #2: Click “Sound” and then click on “Output”. If your PC has an only single audio port, then click on “Use audio port for” and select Sound Output and select the external speakers. Step #1: Open “Apple” menu and then click on “System Preferences”. Step #2: Click “Sound” and choose “Output”. Step #1: Go to “System Information”. Step #2: In the “Hardware” section, select “USB”. Also check the connected speakers are on the list and if they are not, then unplug and re-plug the speakers. Still, the external speakers are not responding then prefer manual guide of the speaker. Unplug the speaker or headphone. Also, check all the cables of the Display are perfectly connected to the Mac. Step #1: Tap “Apple” menu and open “System Preferences”. Step #2: Open “Sound” and click “Output”. Step #3: Select “Display Audio” from the “Output” device list. Step #1: Click on “Apple” menu and select “System Preferences”. Step #2: Click “Sound” and select “Output”. Step #3: Again, select the “Digital Output”. Verify the Mac is properly connected with the digital-ready receiver through optical digital cable. Apart from this, check the Digital receiver is set up to the option Digital Input. Adjust the volume of the receiver because when you connect the digital receiver, Mac’s control can’t be used to adjust volume. You can also Downgrade from Mac Mojave to Mac High Sierra. This has been happening with my 2018 Mac mini. No amount of fiddling with System Preferences or System Information addresses it. A restart fixes it, but of course is tedious and aggravatingly time-consuming when necessary to do repeatedly. A faster fix is to enter “sudo killall coreaudiod” into Terminal.